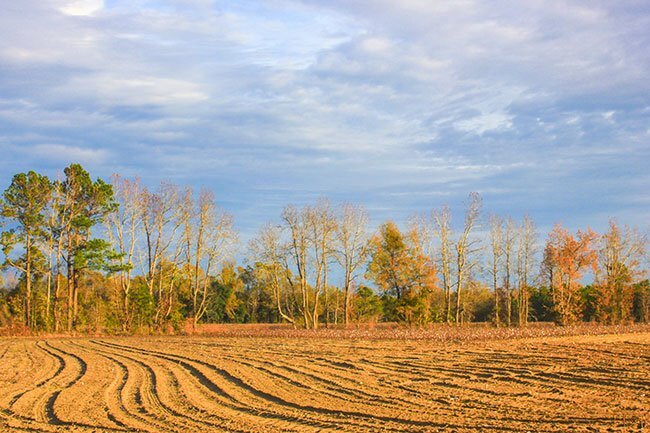 The Pee Dee region of South Carolina is known for its agriculture, and Lake City is a commanding example of why. 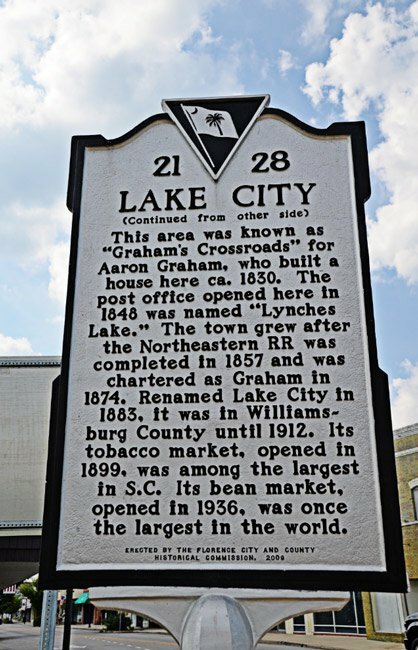 A leading producer of tobacco, strawberries, and green beans in the early twentieth century – in fact, Lake City’s Bean Market was once held the largest green bean auction in the world – the farming community now boasts other cash crops including soy beans and canola. 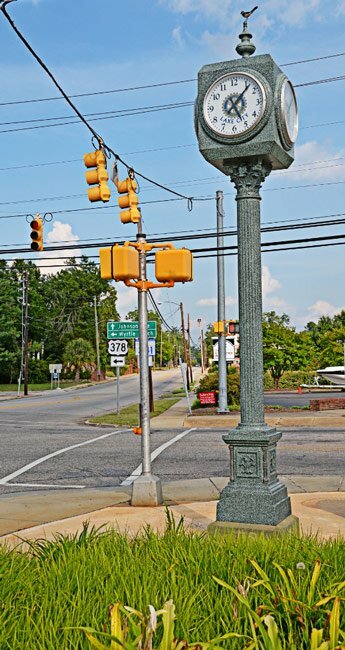 Though it was settled around 1784, the town was founded in the mid-eighteenth century as McCrea’s Crossroads; in 1825 it became Graham’s Crossroads because of its convenient location at two major intersecting roads on land owned by Aaron Graham. One of these roads led from Kingstree to Cheraw, while the other stretched from Camden to Georgetown. The town was officially chartered as Graham in 1874. 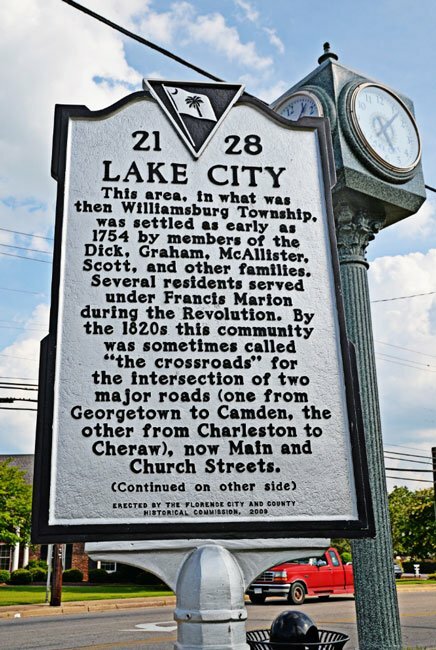 However, the post office serving the area was called Lynches Lake, but because there was already another post office in the state by the name (Lynches Lake), the name of both the post office and the town were changed to Lake City in 1883 to avoid confusion. Northeastern Railroad built a line through the town in 1856. The addition of the railroad added to the area’s prosperity, as produce could easily be transported by train. Later, the Atlantic Coast Line Railroad operated here, its depot built in 1913; the tracks are now used by CSX Railroad. The former depot now houses the city’s Chamber of Commerce, and a restaurant operates from an addition behind the original depot. 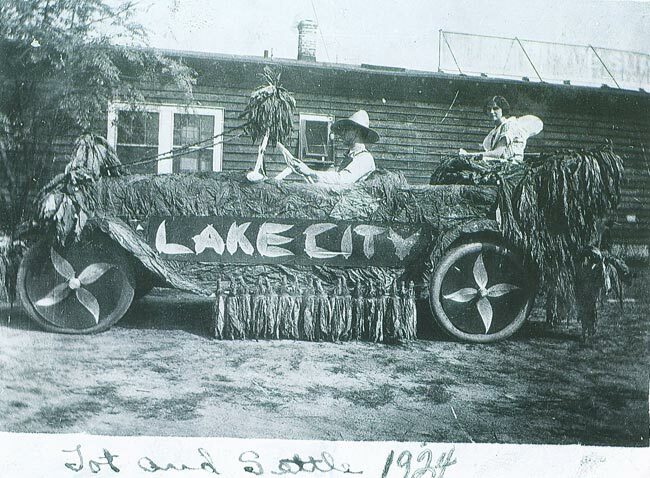 Below, a photo from 1924 shows a car adorned in tobacco leaves ready for a local parade in celebration of the region’s agriculture-based economy. The city is home to some of the state’s most illustrious figures, including Dr. Ronald McNair, one of the astronauts killed in the 1986 space shuttle Challenger, and businesswoman Darla Moore, whose gifts to the University of South Carolina and Clemson University have resulted in USC’s Moore School of Business and the Dr. Ronald McNair Aerospace Center as well as Clemson’s Eugene T. Moore School of Education, named for her father. Moore was also instrumental in establishing ArtFields, an annual nine-day art festival and competition held in Lake City. 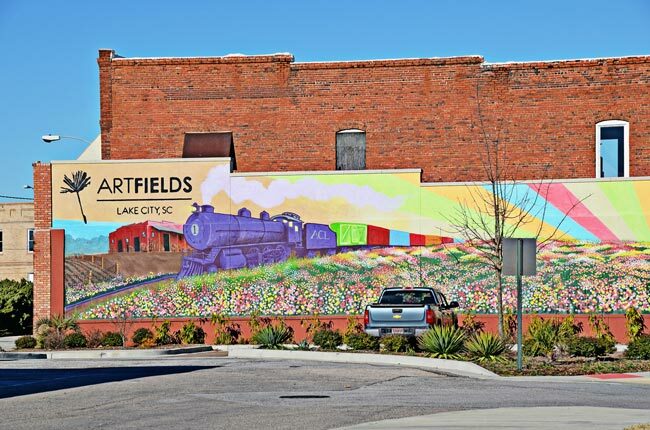 ArtFields hosted its inaugural celebration in 2013, the same year the town’s Smithsonian-quality art gallery, the Jones-Carter Gallery, opened. A mural depicting the art festival as well as Lake City’s agricultural and railroad history adorns a downtown building, seen at the top of the page.